We’re continuing our feature on long-service employees so you can learn more about the people who make Bluestone Leasing a success. 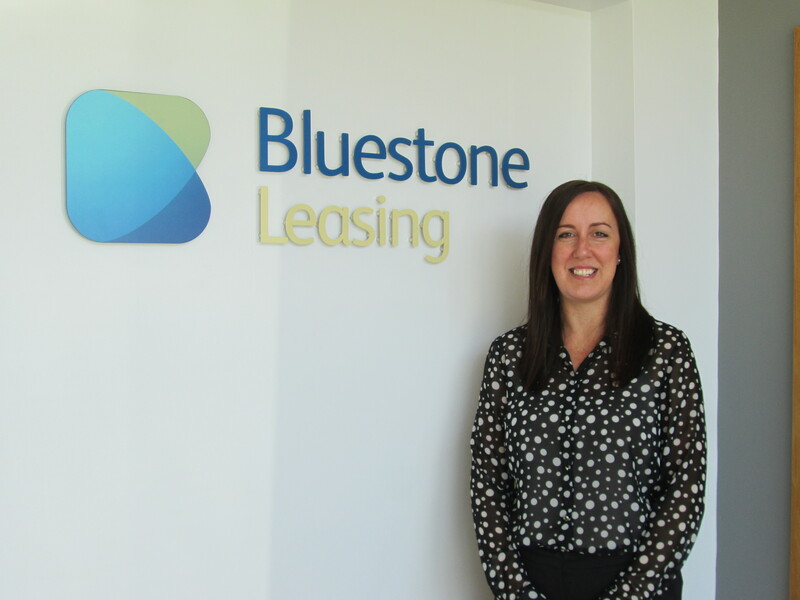 Today’s profile is of our Sales Office Manager Nicola Hallam who has been with Bluestone Leasing since the very beginning. Year Started Working at Bluestone: I started working at Wyse Leasing (the precursor to Bluestone) in 1997. I joined on a full-time, but temporary contract as Office Junior, carrying out tasks such as filing, photocopying, answering telephones, etc. At that time there were only four employees including myself and we worked in an office which was really only suitable for two people! Health and Safety didn’t exist all those years ago! Current Position at Bluestone: Sales Office Manager since June 2012. What did you do before you worked at Bluestone? : Prior to joining in 1997, I attended college for two years, completing my A-Levels. My A-Levels were Spanish, Psychology and Communications Studies, which could explain quite a lot to my colleagues, I imagine! How does Bluestone differ from other places you’ve worked? : Officially I have worked for the same business since leaving college, but I would say that it has felt like working for three different companies over the years. Bluestone is owned by different people than the owners of Wyse Leasing, so the dynamics, ethos and culture feel very different. I have also moved between several roles and seen many people come and go so my career with the business has been varied. The great thing about Bluestone is the fact that they appreciate their employees and recognise opportunities within the business for you to grow as an individual and further your career with them. What’s your favourite thing to do in your downtime? : I have a little boy who has just turned 1 year old, so most if not all of my spare time is spent with him and the rest of my family. I imagine that won’t change for a few years and I’m more than happy with that. What was your dream job as a kid? : When I was a young child, I wanted to be a librarian and used to pretend by stamping my books! In my teenage years I wanted to be an Architect, but when I realised you needed to know all about plumbing and drains etc. and it wasn’t just as simple as designing the outline of a house, it quickly lost its appeal! What’s the best part of your job? : That’s a hard question. In previous roles I have either worked alone or as part of a small team so the first thing that comes to mind is that I get to work with almost everyone is the company now, so it keeps my day really varied. What’s the most difficult part of your job? : Filling in questionnaires like this!